If you have ever wonder how many British nationals are in prison overseas then this page might be a bit of an eyeopener. Most of these are for drugs and drugs related offenses. On the page British Abroad I wrote about the crime, violence which occurs and how many need assistance all the time from the British embassies abroad. There are a total of 850 British nationals that have been arrested for drugs related charges around the globe out of the total of 2,760 according tot he latest FCO reports. In the first 6 months of 2013 more than 32% of all detentions have been for drugs. Many of them are still in remand and awaiting trial and for many this can take years before they are prosecuted..
People continue to be astonished at some of the penalties handed down for certain crimes overseas. In some countries possessing small amounts of marijuana can lead to decades in prison. In the last year alone consular staff handled over 650 drug-related cases. We want to reduce this number significantly. .Even small amounts of drugs can get you into very serious problems. Prison conditions are different from country to country but if you are ever caught in Asian countries the prison conditions can best be described as horrendous or hell on earth. Forget about basic healthcare, clean water and food, safety or speaking the language. Prisons might have been made for 3,000 but there are 20,000 stuck into them where prison gangs run the show. You don’t ever want to be caught in that type of mess. If you are found guilty of being in possession of even as small quantity of marijuana (aka a joint) you are risking a prison sentence (2-3 years) and a heavy fine. Don’t do drugs in Thailand or anywhere else. 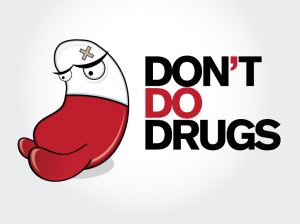 Don’t do drugs – period! The Full Moon parties are where most of the trouble begins as alcohol and stupidity takes over. Small amounts of marijuana can see you with a 3-4 year sentence in the UAE. Being Dubai you know that it is illegal not to pay your debts. According to the Daily Express more than half of Brits in prison in Dubai are there for not paying their bills. Personally I could never see the attraction of Dubai in any event. Which reminds me I want to write a post on that. There are were 30 British nationals in prison for drugs. Heavy sentences for small amounts of drugs as well. Peru is harsh and there are currently 26 British nationals being held on drug offenses. According to the latest British prisoner released Alan Rae 11 of those are addicted to crack cocaine – in prison. The government much like other governments will give very heavy sentences for small about of drugs. Be very careful in tourist areas, don’t take opened drink’s from people you don’t know and don’t ever hold parcels or carry books and luggage across international borders.